The new Rogue Wave by Wave WiFi is an ultra small, compact Wireless Bridge and Ethernet Converter with an incredible 800mW output power. All the features and elements of the larger EC-Series like the user friendly, proprietary web-based interface are available in this easy to set-up kit. The Rogue comes with an 8.5dB omni-directional outdoor antenna and is powered by Power over Ethernet (PoE). This means there is a single cable between the computer and the Rogue. 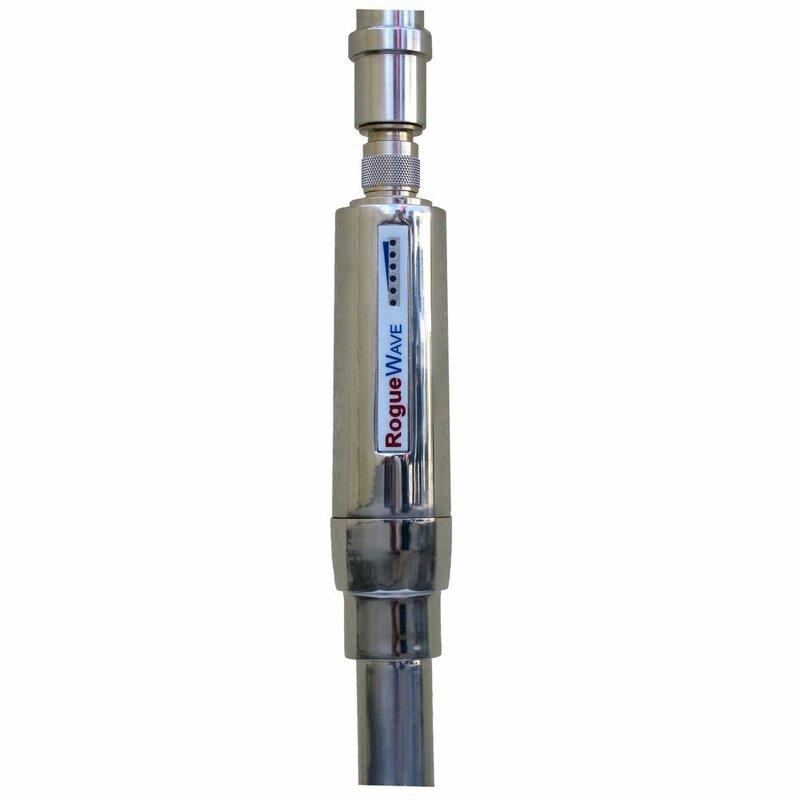 The Rogue can also be used with variety of remote mount, 2.4 GHz omni-directional antennas. 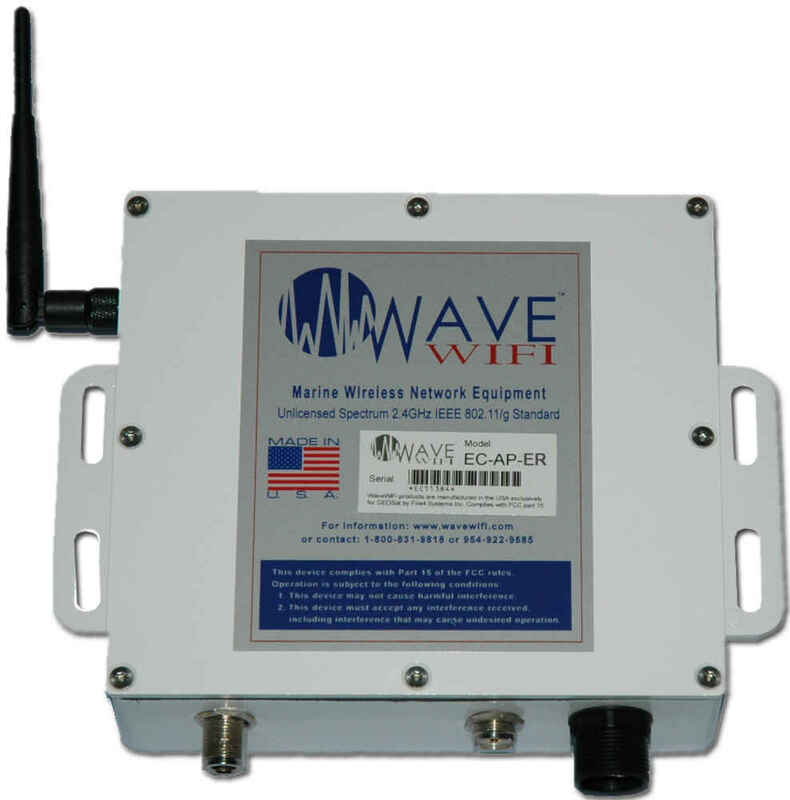 Like all Wave WiFi models, the Rogue Wave is an Ethernet Converter (EC) so a direct connection can be made to any Ethernet enabled device and there is no software to install and no power robbing USB connections. The ultra small size of the Rogue Wave makes it the ideal 'personal' Ethernet Converter/Wireless Bridge for boat captains and crew. The Rogue is perfect for wireless Internet access on a boat. J Gordon & Company offers sales and installation of these units. Other models are also available, Go here to see their website and other available models. The Rogue Pro features the same trouble free, high powered performance of the Rogue Wave in a sealed, polished stainless steel case. The Rogue Pro will be available with either a weatherproof cable gland base or an integral 1"-14 ready base for standard antenna mounts. In addition to the enhanced dust and moisture resistance, the stainless steel housing offers superior heat transfer and impact resistance. The Rogue Pro was developed with the input of our ARGUS Project partners at SURVICE Engineering and also in response to a need for an extremely ruggedized WiFi device for commercial, military and Homeland Security projects. The ultra small size of the Rogue Wave makes it the ideal 'personal' Ethernet Converter/Wireless Bridge for boat captains and crew. The Rogue is perfect for wireless Internet access on a smaller boat or an RV.